WASHINGTON, Oct. 2, 2018 /PRNewswire/ -- The National Association of Realtors® (NAR) has announced changes to its senior management team to more effectively and efficiently serve its 1.3 million Realtor® members while enhancing its brand and relationship with consumers. Effective immediately, Victoria Gillespie will serve as chief marketing and communications officer, and starting Oct. 15, Shannon McGahn will become NAR's senior vice president of government affairs. "The addition of Victoria and Shannon's strategic leadership to our already powerful team will help us once again make real estate a topline issue," said NAR CEO Bob Goldberg. "Together, they will lead our strategic direction in Washington and around the country to better serve our members' interests." With more than 30 years of industry experience, Gillespie will set communications strategies for NAR to drive member engagement and satisfaction, and strengthen NAR's relationship with consumers. 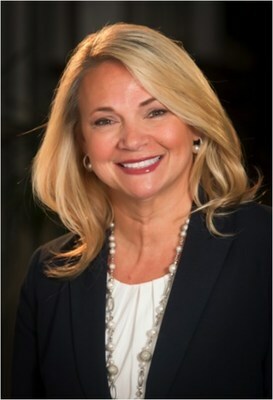 Gillespie previously owned and operated her own real estate agency for more than 12 years, served as senior vice president of the REALTORS® Federal Credit Union, and most recently served as senior vice president of enterprise marketing and communications for Northwest Federal Credit Union. She has developed multiple award-winning advertising campaigns, secured strategic partnerships to generate revenue growth and overseen the facilitation and coordination of strategic planning and events, serving thousands of attendees. "Victoria's extensive experience makes her the ideal choice to lead our marketing and communications," said NAR president Elizabeth Mendenhall. "Her strategic vision and commitment to developing innovative concepts will complement our fabulous lobbying and policy team." "I'm thrilled to take on this new role at NAR and put my knowledge of the real estate industry to use for our members," said Gillespie. "Having spent much of my career in the industry, there are tremendous opportunities to increase the awareness of the value and services that NAR offers so that our members understand that NAR is a radically member-centric organization. I look forward to working with our talented team to do so." As senior vice president of government affairs, McGahn will bring a modern, innovative approach to presenting Realtor®-directed policies to members of Congress, federal agencies and the executive branch of government, in addition to guiding NAR's position on key property rights policies. McGahn is the first woman to hold this position in NAR's 110-year history. 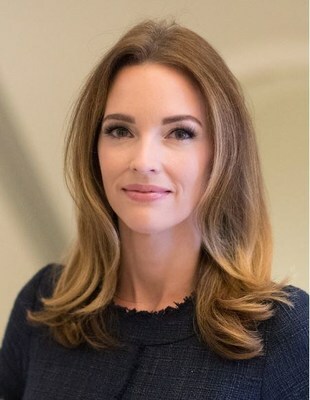 McGahn most recently served as the staff director for the Committee on Financial Services in the U.S. House of Representatives where she managed the Committee's legislative agenda and worked with House and Senate leadership, senior White House aides, relevant committees and federal agencies to address and enact its legislative and regulatory priorities. "Shannon is a proven star in the emerging generation of 21st century advocacy leadership," said NAR president Elizabeth Mendenhall. "Her ability to work across the aisle and develop bipartisan solutions will position NAR as a player able to shape legislation and regulatory policy in a period of upheaval and generational changes in America." McGahn's experience on the Hill also includes serving as communications director for the House Republican Conference, where she worked daily with senior House leadership and staff to communicate policy proposals to the media and the public, and more than six years serving in various policy communications roles for the House Republican Conference, the Office of the House Majority Leader and Congresswoman Jennifer Dunn (R-WA). She also served as counselor to the secretary of the U.S. Treasury, leading early efforts to build relationships with members of tax writing and banking committees, as well as House and Senate leadership, to develop consensus on legislative initiatives. "I'm excited to join NAR and bring my experience in the legislative and executive branches to support policies that not only benefit members, but promote property ownership for everyday Americans," said McGahn. "On behalf of NAR's 1.3 million members, I look forward to promoting the American dream of homeownership, bolstering private property rights and emphasizing the financial security and other associated benefits of owning real property." McGahn succeeds Jerry Giovaniello, who is retiring at the end of 2018, after successfully advocating vital legislative and regulatory issues before Congress, the White House and federal agencies for NAR and its 1.3 million members for 37 years. The National Association of Realtors® is America's largest trade association, representing more than 1.3 million members involved in all aspects of the residential and commercial real estate industries.